The Antonines - Antoninus Pius, Marcus Aurelius, Lucius Verus and Commodus - played a crucial part in the development of the Roman empire, controlling its huge machine for half a century of its most testing period. Edward Gibbon observed that the epoch of the Antonines, the 2nd century A.D., was the happiest period the world had ever known. In this lucid, authoritative survey, Michael Grant re-examines Gibbon's statement, and gives his own magisterial account of how the lives of the emperors and the art, literature, architecture and overall social condition under the Antonines represented an age of transition'. 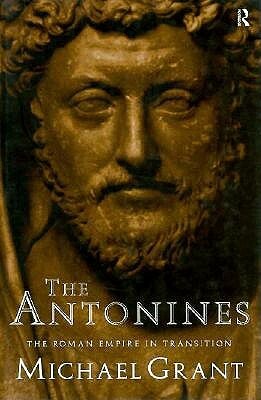 The Antonines is essential reading for anyone who is interested in ancient history, as well as for all students and teachers of the subject.